You can get gems with raising trophy so if you want to get trophy you have to active attacking and you have to make your base stronger. If you already get the trophy like in table you will get trophy from achievement menu. 2. How to Get Free Gems in Clash of Clans by cleaning Obstacle. Obstacle is all of thing that grow in your village’s like Trunk, Tree, Mushroom, Stone and Gems box. The way of getting the gems is you have to remove it and after finish you will get gems if you are luck, if you are not luck you will get point to upgrade your level. 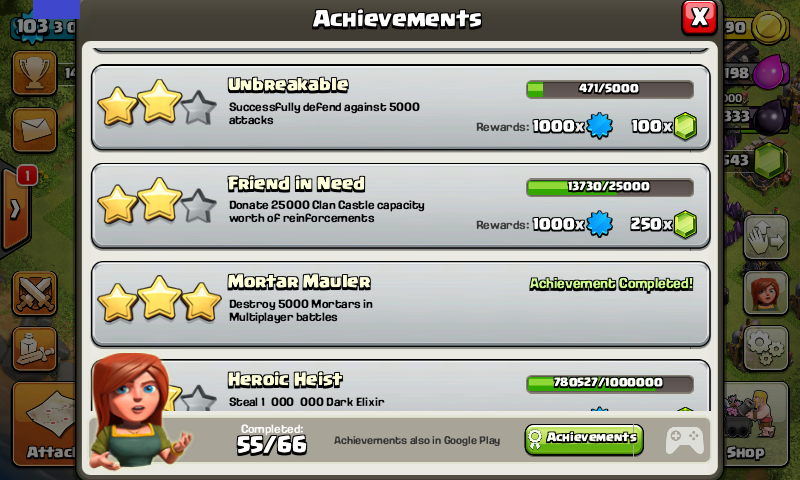 Archievement is attainment target that must be finished by clasher in this game if they want to get free gems. there are 66 archievements in this game that you have to finish. If you want to get many free gems from this game. 1. 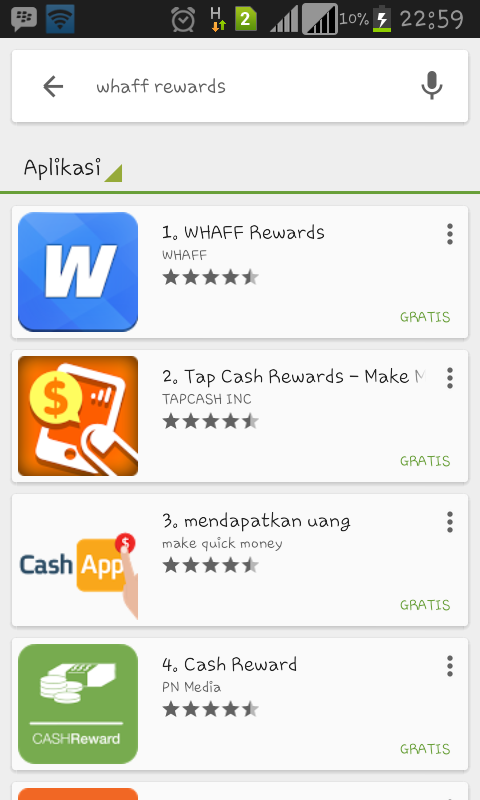 Installing Whaff Rewards from Google Play. 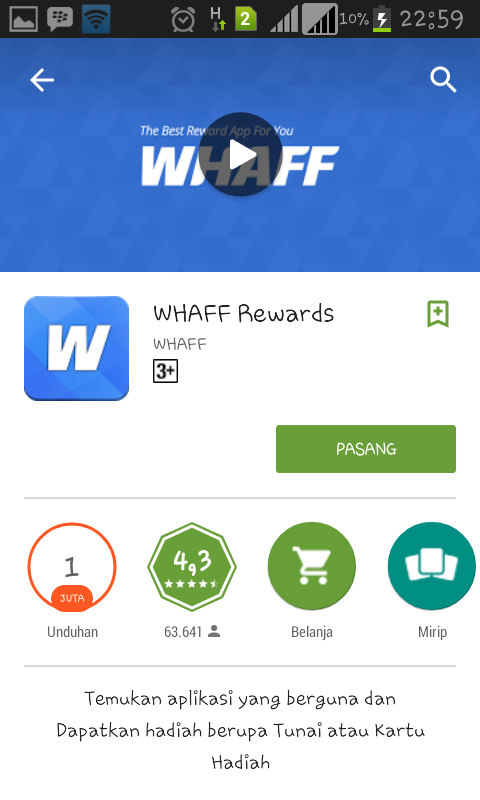 Download Whaff Rewards App in play store. If you found it, download and install in your phone. After that type the code, the code is Ai86253. 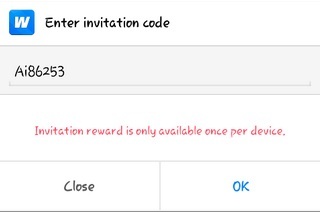 This code is to get first bonus $0,30. Collect dollar with download the app and run the app. Use Premium Picks, so you will get $0.20 – $0.50 from the app if you install the app. 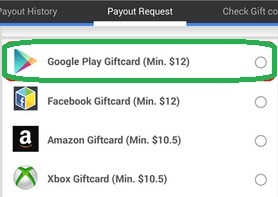 And then select the Google play gift cards to take dollars. 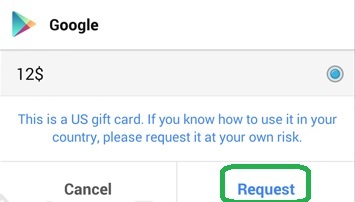 For example if you want to take money $12 in Google Play Gift Cards so click the REQUEST. Please wait 1 until 3 hours or a day to get the Google play gift cards code. To check Redeem Code, you can go to Reward History > Check Gift Codes. If you got the code, please go to Play Store to do Reedem by the code and then you can exchange with clash of clans gems by free.